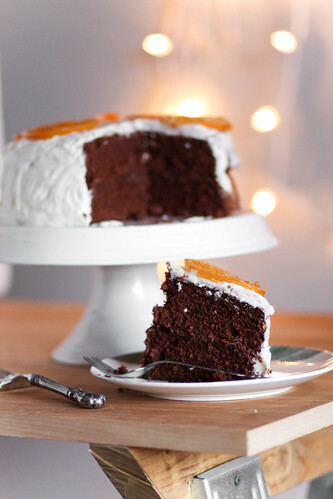 honey & jam | recipes + photos: Chocolate Cake & a Guest Post at The Kitchn. Chocolate Cake & a Guest Post at The Kitchn. I have a guest post up on The Kitchn today! Head over there to read all about my latest cake disaster. It was just ridiculous! It looks very magnificent. And blog post gives me a lot of knowledge .be grateful, I truly found very amazing and unique ideas. So this might be useful to everybody. Thanks for sharing. Oh man! Yeah, I've only attempted cakes a handful of times, and tears and frosting went hand in hand each time. Cakes are hard! Way to pull through with something amazing! So funny! I'm glad your cake turned out in the end...you are amazing for sticking it out! it was a great post, hannah! i applaud you for your efforts to salvage the cake! I will share a story of making a cake for the first time with our adopted daughters. They love to bake, etc. But we had never attempted to make a cake with them. So over Thanksgiving the girls and I made the Hersheys Cocoa cake off the box. Well, with two very active girls, I had poured the cake in the pans before I realized I'd left out the sugar! I also didn't evidently grease and flour enough because the cake was yummy but stuck to the pan. However, we all had a hand in it. Husband took it out and assembled it on a cake stand, and then 'glued' it together with frosting (the frosting recipe on the Hersheys box that I used my hand mixer with). It was the best cake, and all of us were proud of making it. It was a bit of a madhouse with the girls (next time I will be more organized). And they loved eating something they had made and it got us in the kitchen creating a cake. Reminded me of when my mom and I used to bake together. Good for you for powering through! I think I might have just sat down and cried at any given point, and then started screaming and throwing cake into the trash. So bravo for salvaging it! well, well done! looks amazing! Oh, my. Kudos for sticking with the cake dispite all your mishaps. Title advances acknowledge the previously stated highlights as a tied down development, side by side from a detached perspective. While tied down credits don't adjoin the variety of stipend that will affirmation it, epithet propels distinctly tie automobiles or whatever added operators to go about as security.